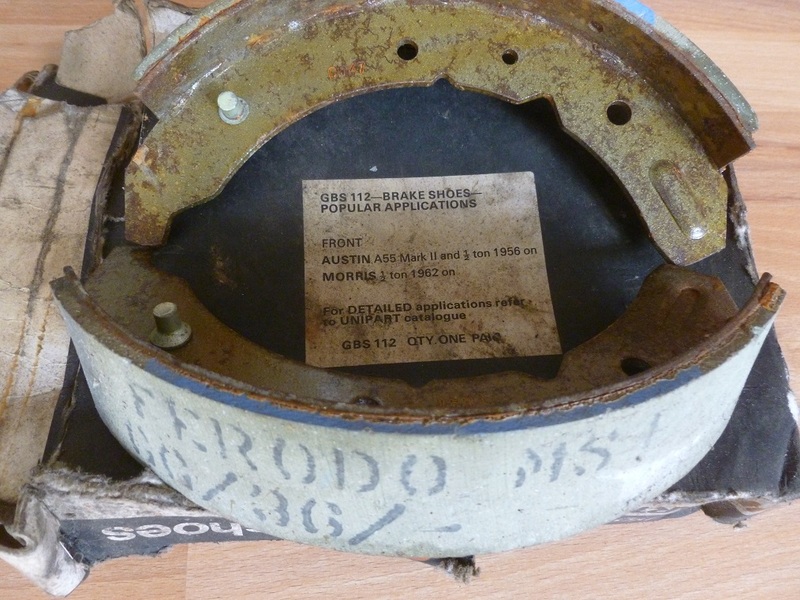 A set of 4 original BMC/Unipart front brake shoes manufactured by Ferodo. Unipart part number GBS112 – Box states suitable for Austin A55 and Morris 1/2 ton van and pick-up from 1956 on and Austin A55 Mk2. New/old stock. Very tatty original boxes. Some surface corrosion to metal parts.